Polynesian culture, women’s rights and women’s role in the transmission of culture loom large in the life and work of 75-year-old French Polynesian writer and poet Flora Aurima Devatine, who has dedicated her decades-long career to the recognition of a “Polynesian consciousness”. 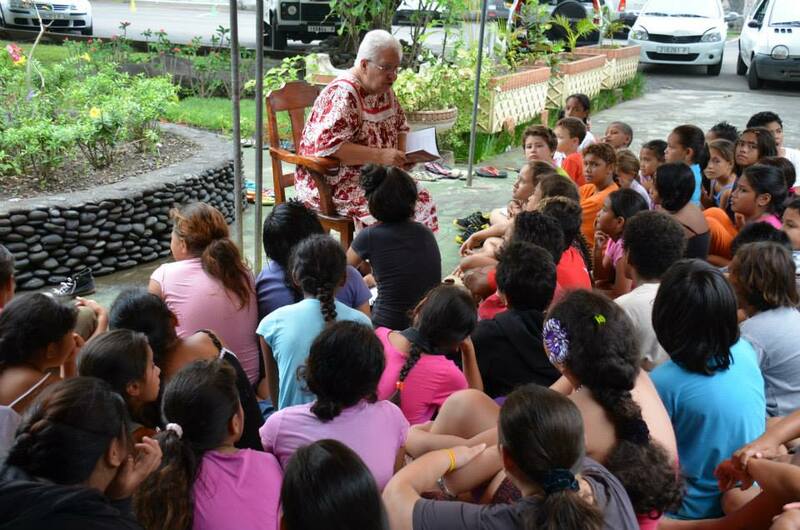 She has long promoted Polynesian language and culture through her writing and poetry as well as her work, teaching Spanish at a high school and the Tahitian language well as Polynesian poetry at University for close to three decades. In 2017, Flora became director of Te Fare Vana’a, the Tahitian Academy, a cultural institution dedicated to normalise, save and enrich Tahitian language, of which she has been a member since it was founded in 1972. It is within this cultural context that Flora became the first state delegate for women’s affairs from 1979 to 1984. She has also been a member of many women’s and cultural associations including Soroptimist International Club of Tahiti-Papeete, Women’s Council, Pu O Te Hau Women’s Shelter, and Centre for Women’s and Family Rights. Ms Devatine has received numerous awards including an honorific diploma in 2002 from the Minister of Culture, President of the Assembly of French Polynesia and President of Women’s Council for her decisive role in the awareness, mobilisation and organisation of the promotion of women, Polynesian culture and literature. She directed Littérama’ohi, the first Polynesian literary magazine she created in 2002 with six Polynesian authors. She has published poetic collections and numerous articles on women, culture, orality, and writing, including some on indigenous literature and Aboriginal performance, in collaboration with academic researcher Estelle Castro-Koshy. The poet is now an authority. Not only was she elected president of the Académie Tahitienne, but in June 2017 she was recognized as a major writer in all the French speaking world: Flora was awarded the Heredia Prize, a prestigious recognition of a book of poetry written in French, by the Académie Française for a collection of poetry published in 2016, “Au vent de la piroguière – Tīfaifai”. 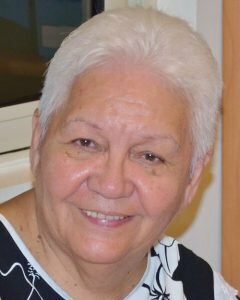 “Her work is fuelled by her generosity and humble genius, and has sparked the willingness of many to write on Polynesia and to read Polynesian literature beyond Oceania,” says Estelle Castro-Koshy. Who’s in his last breath?